Vancouver Cherry Blossom Festival runs April 4-28, 2019 to celebrate the arrival of spring and the city’s spectacular 43,000 blossoming cherry trees. 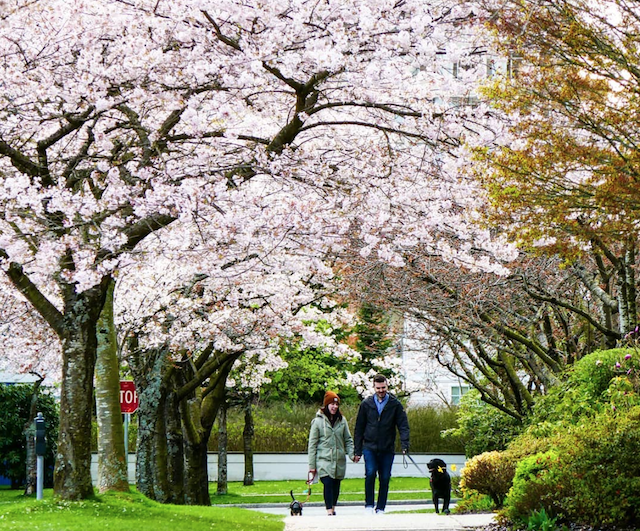 The 13th annual Vancouver Cherry Blossom Festival presented by Coromandel Properties and Vancouver Board of Parks & Recreation officially launches April 4 to celebrate the arrival of spring and the city’s spectacular 43,000 blossoming cherry trees. The Festival inspires hundreds of thousands of residents and visitors each year and welcomes more than 125,000 people to its 19 events, most of which are free. The Festival will launch its line-up of family-friendly events at the Cherry Jam Downtown concert at Burrard SkyTrain Station on Thursday, April 4 from 12:00pm to 1:30pm. Artists such as Zimbamoto African fusion, Katari Taiko (Canada’s first taiko group), and MNGWA Band will perform world music and rhythms. The concert is sponsored by long-time Festival partner the Downtown Vancouver Business Improvement Association (“DVBIA”). Spring Lights Illumination at Queen Elizabeth Park on Friday, April 12 and Saturday, April 13, from dusk to 10:00pm. Experience the blossoms illuminated by HFour in a breathtaking, memorable evening you’ll never forget. Sakura Days Japan Fair sponsored by JTB International & Silkway Travel showcases Japanese arts and culture at VanDusen Botanical Garden, April 13 (10:00am to 6:00pm) and April 14 (10:00am to 5:00pm). Tickets are available for purchase online and in-person at VanDusen starting March 11. The Big Picnic presented by TD Bank Group brings 5,000+ people together to celebrate friendship under the blossoms at Queen Elizabeth Park on Sunday, April 14 from 12:00pm to 3:00pm with live entertainment and a pop-up market. Bike the Blossoms with Velopalooza has moved up a week to April 20th. FREE! Start out from John Hendry Park and enjoy a slow ride under the canopy from 11:00am to 1:00pm. 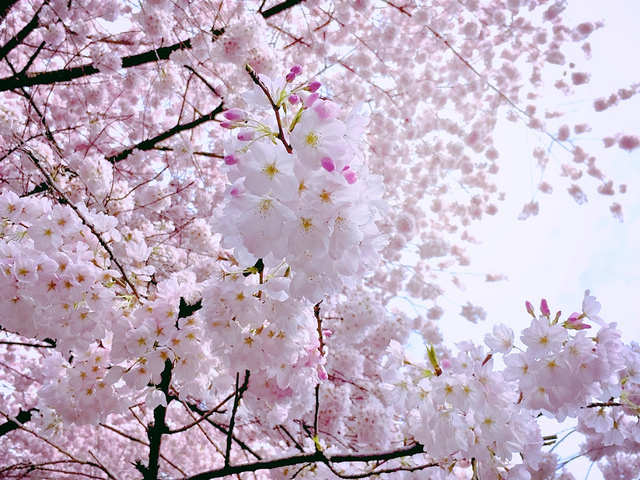 If you want to capture stunning cherry blossom photos, check out the online Neighbourhood Maps and What’s Blooming Now to discover which favourite cherry blossom hotspots are in bloom and where. The BC Blossom Photo Watch sponsored by TELUS PureFibre wants to capture your best photos! Submit your favourite cherry blossom memories on social media using both #vancherryblossomfest and #TELUSPureFibre hashtags and you could win prizes. The Festival will also launch some exciting food-related events this year, culminating with Sakura Night presented by McMillan LLP on May 5 at Stanley Park Pavilion. The Festival’s gourmet celebration fundraiser features some of Vancouver’s top chefs like the Shangri-la Hotel Vancouver’s Executive Chef, Ken Nakano, and Notch 8 Restaurant & Bar’s Chef de Cuisine, Will Lew. The Festival will wrap its celebration of millions of blossoms by harmonizing downtown at THE BIG SING Metro Vancouver, sponsored by the DVBIA. Over 500 voices from across the region will gather in the Vancouver Art Gallery South Plaza on Saturday, April 27 from 12:00pm to 2:00pm. Registration is open online to add your voice to Metro Vancouver’s most exhilarating mass choir experience. Follow the Vancouver Cherry Blossom Festival on Facebook, Instagram, and Twitter for more info.